Once a prosperous mining town, Cessnock is now a major wine industry service centre, located 52km from Newcastle. With a population of 22,000 to 23,000, there are plenty of opportunities to send flowers, and we deliver to schools, businesses, hospitals, churches, nursing homes, retirement villages, funeral homes and cemeteries. There are many hospitals and medical facilities in the region, including Maitland Private Hospital, Berkeley Vale Private Hospital, B&D Medical Centre, Dungog Hospital, Hunter Valley Specialist Centre, Lake Macquarie Private Hospital, Gosford Hospital, Lingard Private Hospital, Hunter Valley Private Hospital, and Hunter Valley Private Hospital. We deliver to churches of all denominations, including Hunter Baptist Churches, St John the Divine Anglican Church, Saint Dyonisious Greek Orthodox, Cessnock City Church, Hope Valley Christian Church, Seventh-Day Adventist Church, West Cessnock Congregational Church, Maitland Evangelical Church, and Christ Church Cathedral. For deliveries to funeral homes, crematoriums and cemeteries, we cover a wide area, including H Bevan & Sons Funeral Directors, Kurri Kurri & Cessnock Funeral Services, Smyth Funeral Services, East Maitland Cemetery, Maitland War Cemetery, Morisset Cemetery, Palmdale Memorial Park and Crematorium, and Wallsend General Cemetery. We deliver to nursing homes and retirement facilities, including East Lake Macquarie Dementia Service, Calvary Retirement Community Cessnock, Abernethy Nursing Home, Cessnock House Nursing Home, Regis The Gardens, Greenhills Churches of Christ Nursing Home, and Principal Raymond Terrace Gardens. Dedicated to providing the best bouquets and floral arrangements in the area, we will always go that extra mile to ensure your gift is perfect. 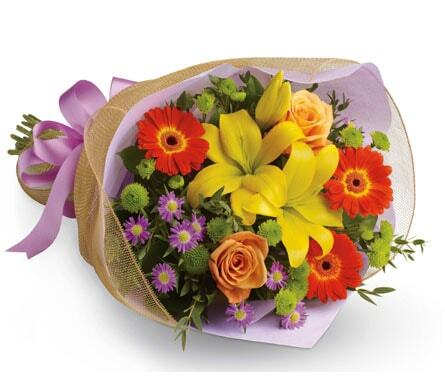 Your first choice for flowers, we can help you choose by occasion, colour or budget. 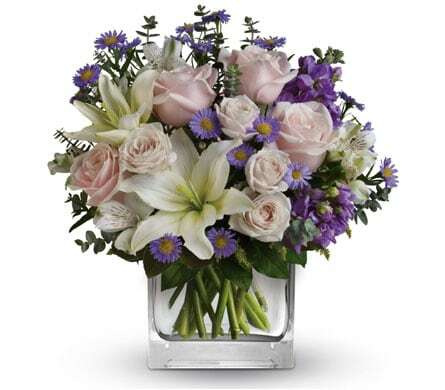 For example, if the recipient loves blues and purples, they will love Twilight, Heaven Sent, and Purple Perfection. For the girl who loves hot pink, Floral Fantasy is a delight. Or go for a huge explosion of colour with Starburst Splash. We don't just do flowers. We also stock natives, plants, soft toys, and stunning hampers and baskets filled with all sorts of goodies. If you have a baby shower to go to, you'll definitely want to check out New Baby - a charming collection of baby essentials and flowers, with a teddy bear. For a simple thank you, you'll make their day with Burst of Sunshine, Grand Gerberas, or the very lovely Enchanted Cottage. There are plenty of reasons to celebrate in Cessnock, with its growing tourism and wine industries, excellent schools and amenities, and many sports facilities. It's also the perfect place to visit if you love history, with some sensational old buildings to see, including the Court House, Endeavour Museum, and St Michael's Catholic Church.